No President in our history has lied as much, as often, as badly as this man. Now he is openly endorsing another sexual predator for the US Senate. There is seemingly no limits to his shame, and no end to the harm he is willing to do to get his way. His impeachment cannot come too soon. 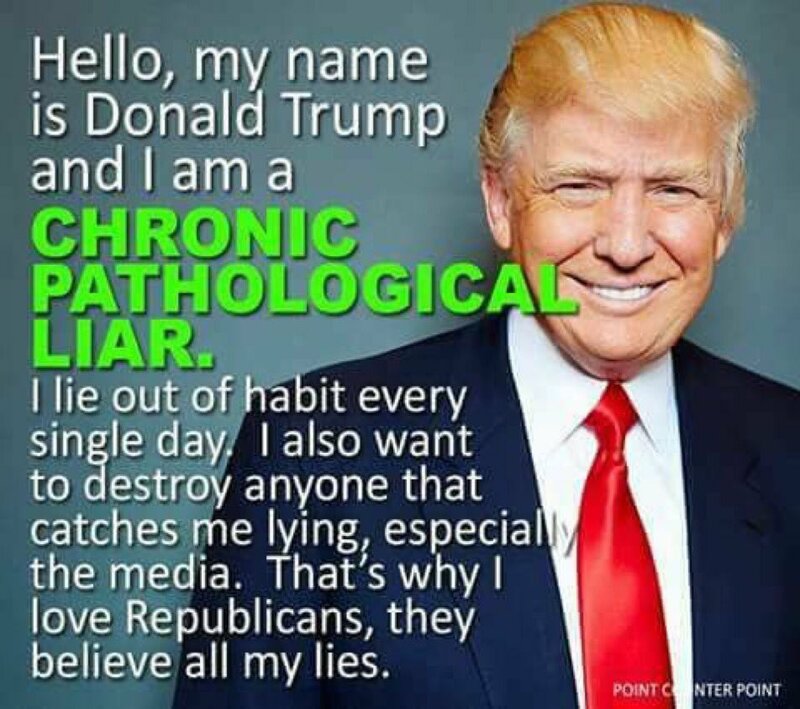 This entry was posted in Facts & Statistics, News & Views and tagged blind belief, BLOTUS, danger, delusional, destroy, endorsement, habit, harm, impeachment, liar, media, pathological, Point Center Point, Republicans, sexual predator, shame on December 5, 2017 by Ray Buchanan.